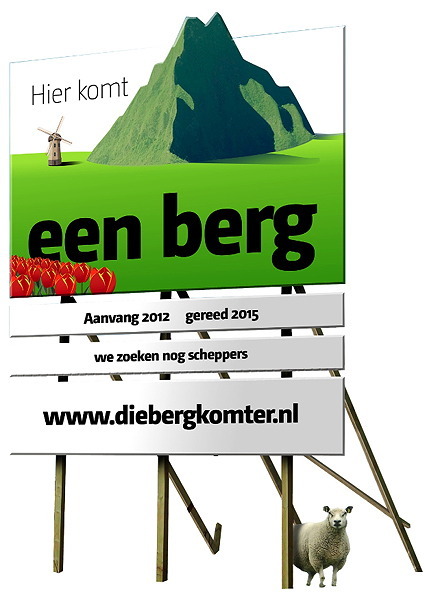 In July 2011, the Dutch journalist Thijs Zonneveld wrote a column in which he proposed that a mountain be built in the Netherlands. He meant the idea as a joke, but people liked it so much that a grassroots movement formed in support of the project. Unfortunately it seems like people have now lost interest in the mountain project. Its website has disappeared, but is still viewable via the Wayback Machine. 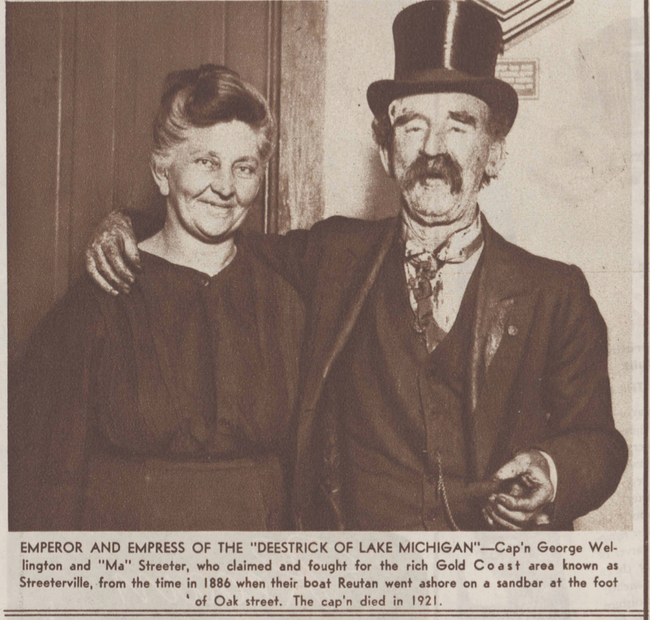 Once upon a time, this couple claimed to own a large chunk of Chicago. 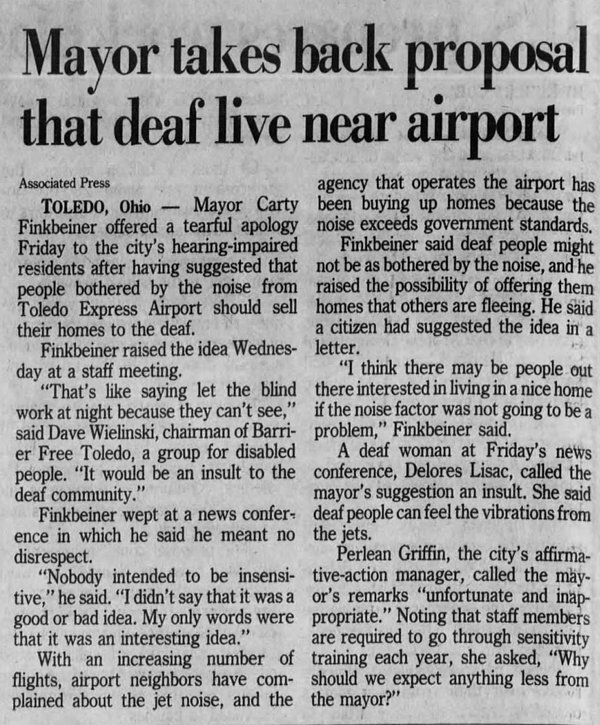 Nov 1994: During a staff meeting, Toledo mayor Carty Finkbeiner offered a creative solution to the problem of homeowners bothered by airport noise. They should just sell their houses to deaf people. 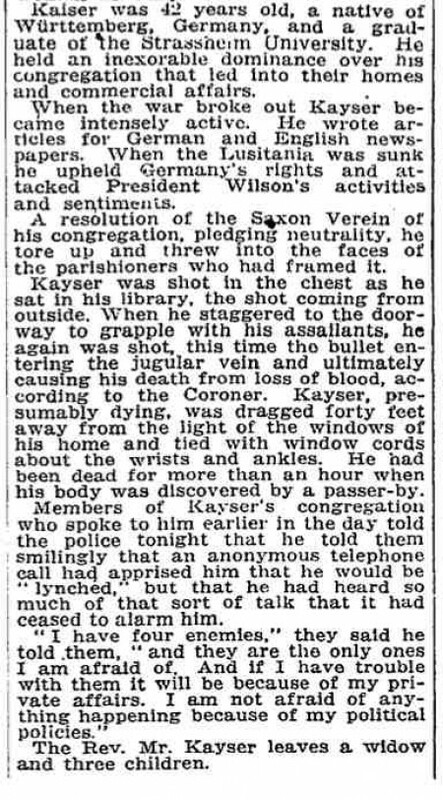 A few days later he offered a tearful apology, insisting that he had simply said it was "an interesting idea." The reality, of course, is that they sell to people willing to live with noise in exchange for getting a cheap house. I know that 'cause it's the trade-off I accepted when I bought my house (road noise, not airport noise). Back in 1955, the marketing execs for Quaker Puffed Rice and Puffed Wheat came up with an ingenious way to sell breakfast cereal. They bought 19.11 acres of land on the Yukon River in Canada. 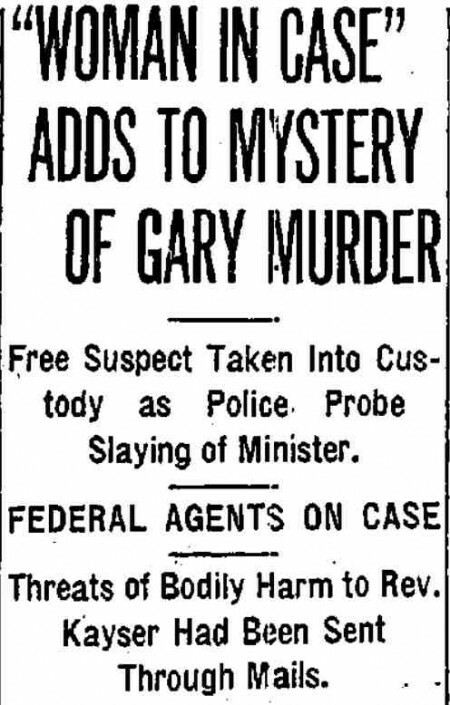 Then they divided up the land into 21 million square-inch plots and gave away deeds for these 1-inch plots inside the cereal boxes, which flew off the shelves. Nobody at Quaker Oats could have anticipated the mass idiocy of American consumers. 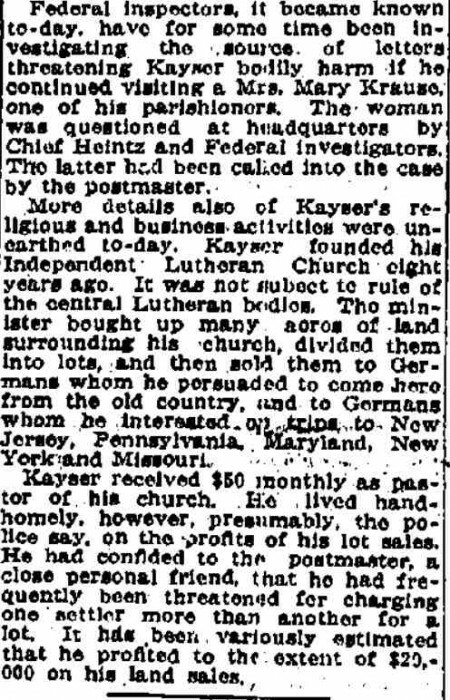 One guy had over 10,000 deeds and wanted to convert them into one single piece of property that would be a little less than a quarter-acre. And Quaker received thousands of letters from consumers who wanted to mine their 1 square inch for gold. 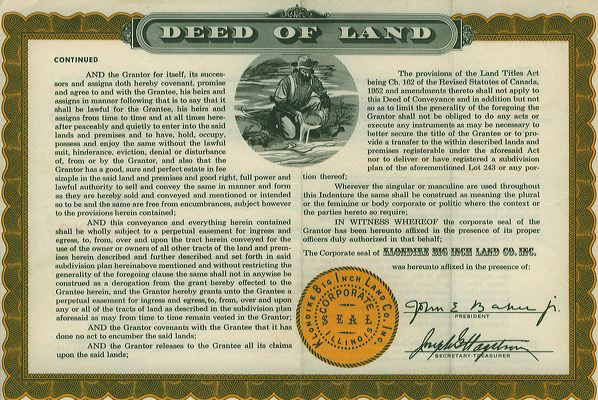 However, mineral rights were not included in the deeds, and if gold would have been discovered, it would not have accrued to the deed holders. 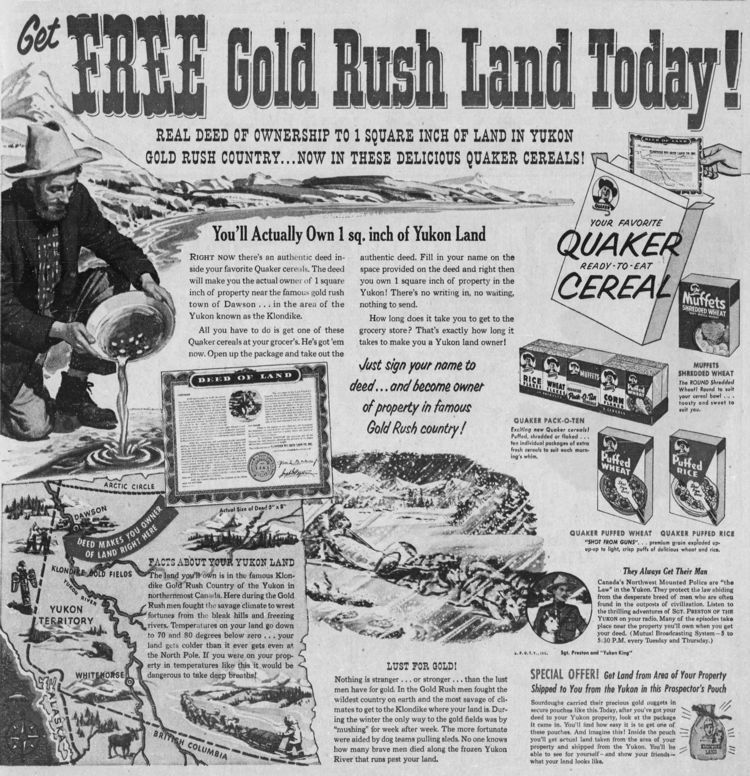 Quaker Oats never paid taxes on the Yukon land, so in 1965 the Canadian government reclaimed it. Which means that anyone who still has one of those land deeds no longer has any claim to the tiny plot of land. However, the deeds themselves have appreciated considerably in value as collector's items. I've previously posted about a similar publicity stunt: when MGM gave away, in 1947, 1-acre plots of New Mexico desert in order to promote the movie The Sea of Grass. 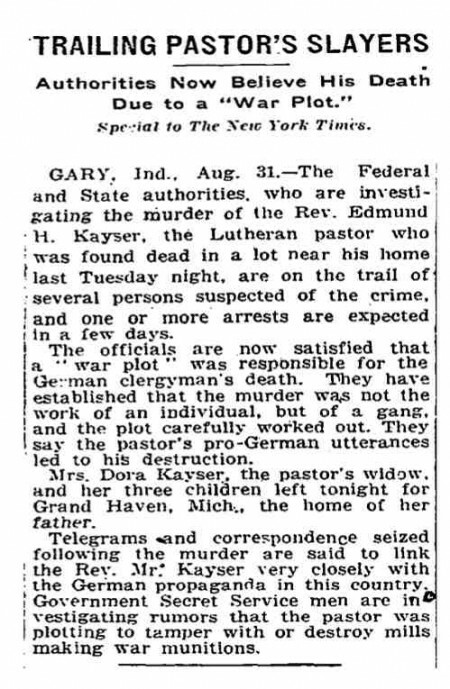 The Reverend Kayser sounds like a real piece of work. German propagandist, adulterer, real-estate conman, and possible saboteur. A man accumulates a lot of possible murderers with that resume. 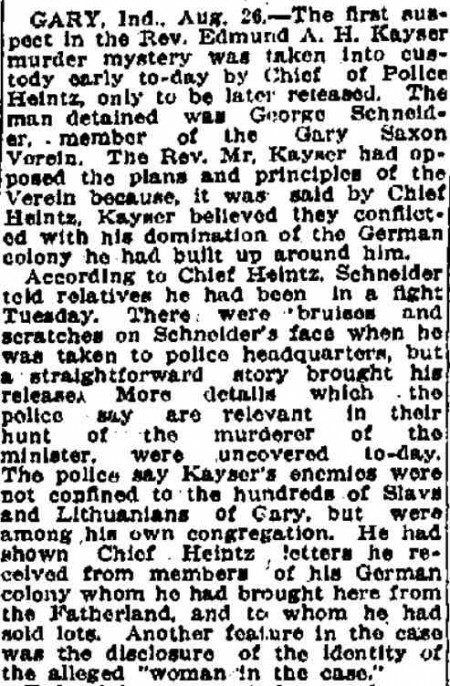 Bonus points for being named "Kayser" during World War I. 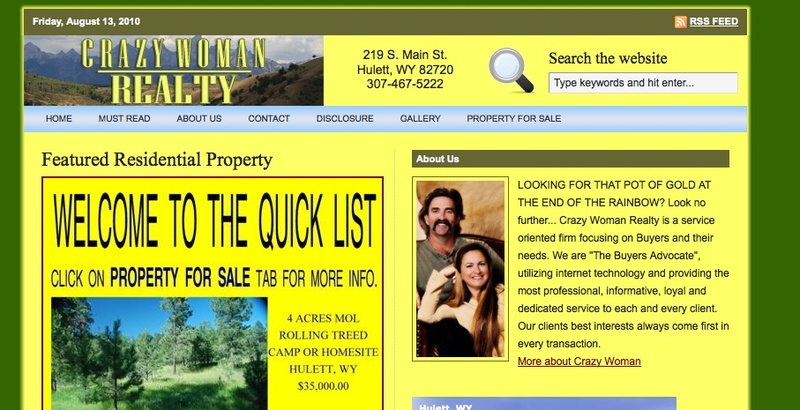 Visit the insane female realtor here. 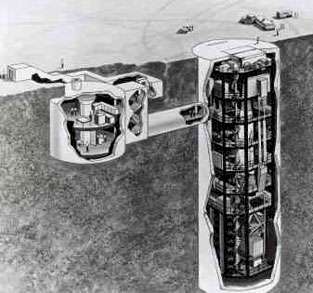 Be the envy of every other survivalist and have your own converted cold-war Atlas-F missile silo home! You too can live in complete cold war safety and luxury. The converted missile launch site is marketed as a getaway, luxury home, and in my opinion is every survivalist’s dream. The property includes its own private runway, 2000 square foot luxury home above ground with master suite, a private airstrip, and a hangar/garage. Below ground, past the 2000 lb. blast doors and three feet of reinforced concrete built to withstand brutal missile assaults lies two additional stories of space in the converted control room where you will find two additional suites with luxury marble Jacuzzi baths and an escape hatch to your private hangar. Want to "buy property" on the Moon or Mars? 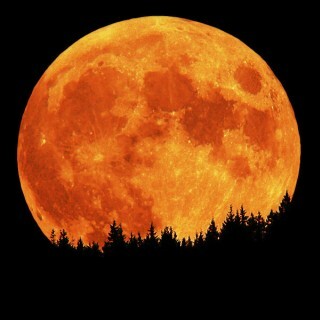 The folks at the Lunar Federation will happily separate you from your cash. 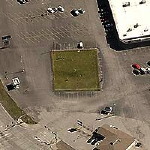 Roadside Resort offers a collection of cemeteries located in parking lots: patches of grass in seas of asphalt. I believe in every case the cemetery predates the parking lot. 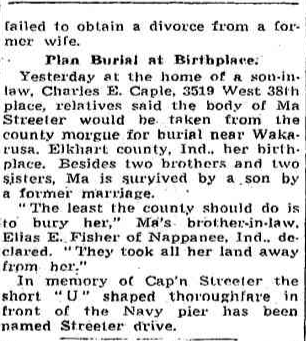 The graves simply had the misfortune of being surrounded by strip malls.